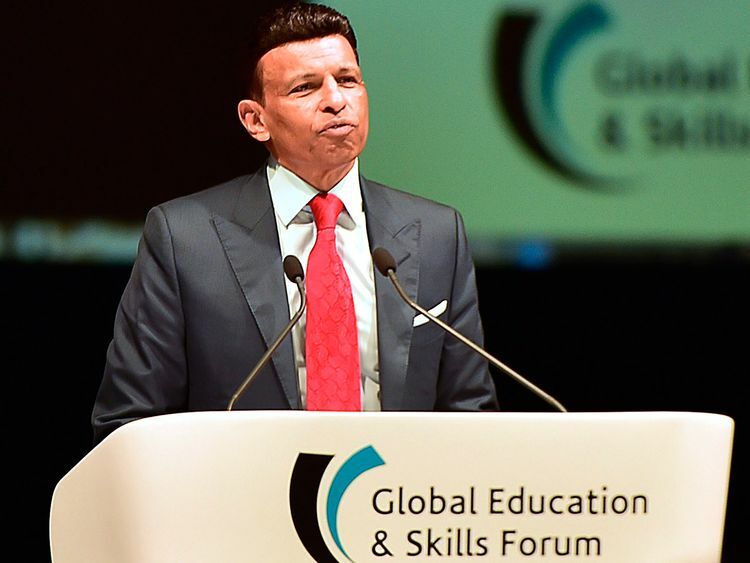 Dubai: Education is facing a global crisis where technology and bureaucracy could overshadow teachers, hurtling the world down “the wrong path”, the founder of Global Education and Skills Forum (GESF) warned on Saturday in Dubai. He said such conferences have plenty of technocrats, investors and policymakers but not teachers, who he said cannot be replaced by machines. Varkey said a “world of constant reinvention will be the future of our children” where “robots will run our factories — but not humans. So our schools cannot be production lines. New jobs require creativity, problem-solving, negotiations and emotional skills. And we know what will happen if we don’t get this right. We’re already seeing political and social chaos around the world”. He added that teachers are best placed to guide children in such times. GESF, organised annually in Dubai by the Varkey Foundation, has gathered leading teachers and experts from the world of education and other sectors to discuss the greatest challenges facing schooling and society at large. On Sunday, GESF will present the $1 million Global Teacher Prize to one of 10 finalists from around the world. Also speaking at the opening session on Saturday, Vikas Pota, chairman of the Varkey Foundation, said with disruption impacting every field, governments need to go down to the grass roots and change the education system. Tarek Al Gurg, CEO of Dubai Cares, spoke about instilling a voice and sense of purpose in students around the world, citing the example of Swedish student Greta Thunberg, whose strike against climate change outside her country’s parliament mobilised thousands globally to follow her actions. He also said that while 10 million people are entering the job market year, 10 million jobs are not being created. Education must change to keep up with evolving jobs and industries, Gurg said. Held under the theme of ‘Who is changing the world?’, GESF 2019 brings together more than 2,200 delegates from 144 countries to discuss pressing challenges in the education sector — as well as in society — through 124 sessions. Seven former heads of state and 40 education ministers are attending the forum, joined by grass roots activists, philanthropists, tech developers and many others. GESF is also hosting the Next Billion Prize, which recognises leading edtech start-ups making an impact on education in low income and emerging economies, as well as the first Philanthropy Summit, attended by over 64 grant-making foundations from around the world. For the first time, Varkey Foundation also hosted on Saturday ‘The Assembly: A Global Teacher Prize Concert’ to thank teachers around the world for the unsung work they do every day.